A human rights group has called for withdrawal of criminal charges against former Attorney-General of the Federation (AGF) and Minister of Justice, Mr Mohammed Adoke, for the alleged Malabu oil scandal. The organisation, Citizens Advocacy for Social and Economic Rights (CASER), made the call in a letter addressed to the incumbent AGF, Mr Abubakar Malami. In the two-page letter dated April 16, and signed by its Executive Director, Mr Frank Tietie, CASER said the charges against Adoke were “manifestly without basis”. The group’s action came barely three days after the Federal High Court in Abuja ruled that the former AGF could not be held liable for his role in the controversial Malabu oil deal. In a judgment delivered by Justice Binta Nyako on Friday, the court agreed with Adoke that his involvement in the controversial sale of Nigeria’s oil well, OPL 245, was within his constitutional duties. The judgement was on a suit filed by Adoke against the incumbent AGF asking to be freed from any criminal liability in the transaction. The embattled former minister said his involvement in the entire transaction was in compliance with lawful directives given to him by former President Goodluck Jonathan, an argument accepted by the court. 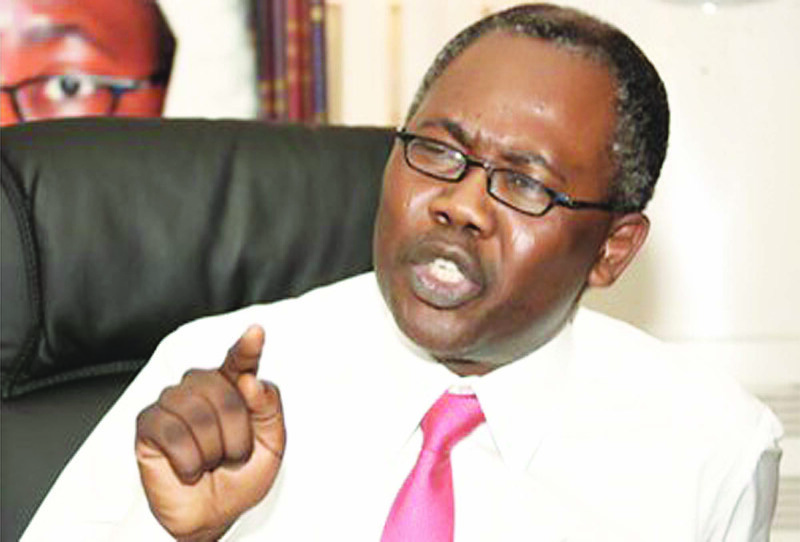 Adoke and others are currently on trial by the Economic and Financial Crimes Commission (EFCC), which is accusing them of fraudulent diversion of $1.1 billion in the controversial deal. CASER said Friday’s court judgement had shown that Adoke had no case to answer since he acted within the “precincts of his constitutional duty as a Minister of the Federal Government’’. The group said, “As a citizens’ rights protection organisation, we at CASER strongly object to the continued trial of the former AGF. “We, therefore, urge you to exercise your constitutional powers under Section 174 of the Nigerian Constitution to immediately withdraw the charges against Adoke on the grounds that they are manifestly without basis. The group noted that the former minister was not just a citizen of Nigeria, but had proven to be “one of integrity in character as a public servant and distinction in industry as a Senior Advocate of Nigeria’’. “We strongly believe that his continued trial will amount to political persecution and must therefore be immediately put to an end by your good self, being the repository of justice in Nigeria,’’ CASER said.